Gary was a schoolboy and youth international with Rangers and Notts County before his move to Tannadice. He played a significant part in United’s promotion to the top flight in 1995-96 and was a regular in the line ups over the next two years. He collected a runners-up medal in the League Cup final of November 1997. His three year deal ended in October 1998, at which time he left to join Hearts. Gary was born on this date in Glasgow. 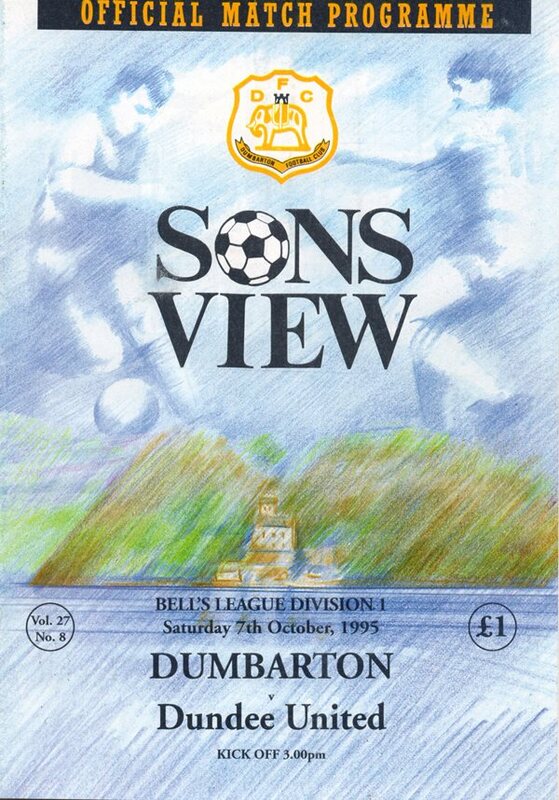 A game which looked like being a formality in the opening twenty minutes or so ended in chaos as Dumbarton hit us with a late suckerpunch in a United performance which deteriorated as the game progressed. With Billy McKinlay down south discussing terms with Blackburn, United were able to welcome Gary McSwegan into the side for his debut following his transfer from Notts County. There was a surprise in who partnered the newcomer up front because Christian Dailly played his first game in a striking position since last season. And early on it looked as though the pair would soon be amongst the goals, as United buzzed around the host's goal from the kickoff. With Grant Johnson having recovered from the knock he picked up against St Johnstone, it was an unchanged United side who faced bottom of the table, Hamilton Accies. Our first home win for eight months sent us charging four places up the table. For that we had to thank Gary McSwegan's twenty yarder mid-way through the first half.